Professor asked me to attend the inauguration of Wadhwani AI, India’s first research institute dedicated to developing Artificial Intelligence (AI) solutions for the social good. Wadhwani AI will focus on researching ways to harness the power of AI to solve deep rooted problems in healthcare, education, agriculture, and infrastructure to accelerate social development. “What about environmental management and sustainability?” I whispered to the Professor. Professor didn’t pay much attention to my whisper as he was busy listening to the opening remarks from the PM. I couldn’t disagree with PM’s emphasis on the Poor. Benefiting poor was rarely the focus of research in AI. I also realized that the PM was using technology like AI for positioning him (and his party) in the forthcoming elections. Very clever. Founded by Indian-American tech entrepreneurs Dr. Romesh Wadhwani and Sunil Wadhwani, the institute will be led by AI pioneer and founding MD of Microsoft Research India, Dr. P. Anandan. “We will apply AI in all key domains such as education, public health, agriculture, infrastructure and financial inclusion. These efforts will bring innovative solutions that achieve large-scale positive social impact. We hope this will transform how AI research is conducted and applied to help” Dr Romesh Wadhwani spoke after the inauguration by the PM. On our way back, Professor said that we should stop by the office of the Pollution Control Board (PCB) near Sion. “We will say hello to the Member Secretary and you would see some of the little work I have done” He said. I protested saying that the coffee at the PCB is no good, but Professor didn’t pay any heed. When we stepped in the office of the PCB, we saw in the reception four machines that were blinking and making “gurrr… gurr…” sounds resembling robots. In front of these machines, folks from industries had queued asking for the Consents to Establish (CoE). Each person was getting interrogated by the “robot” using arficial intelligence. One man wearing a black suit and red tie was asked to indicate the location of the proposed manufacturing plant on the map of Maharashtra. He pointed his finger. Next, details about the manufacturing activity, scale, usage of raw materials, products and processing technology were asked. Aftter receiving few such details, “gurr… gurr” became “GURR… GURR” (I mean louder) for a little while (looked like some “thinking” was going on) and the robot displayed on the screen results of information processing. The screen displayed that “CoE was approved but with following conditions…..” . A technical guidance was offered on how to embed environmental and social considerations in every activity. A list of useful contacts of “approved” environmental consultants, monitoring agencies etc was sent on email including pointers to potential investors/sponsors.” The robot ended the “transaction” (similar to a ATM) saying “Thank you for visiting Us and best wishes for your endeavours” in a humanoid voice but in American accent as the Robot found out that the person in black suit and red tie was educated in the United States of America. I found the entire transaction to be intelligent, responsible and customer friendly. “Well Dr Modak, this is not as simple as you may perhaps think. A lot has gone behind the “GURR… GURR”. Professor said. “You mean, poor knowledge in taking decisions, political interest, inconsistent and impractical recommendations?” I spoke like reading bullet points on a PowerPoint slide. Professor smiled. Member Secretary was not in the office. He was on a vacation as most of the decision making was now done by the Robots. So, we headed towards our usual coffee shop that served the Ethiopian coffee. We took seats in the veranda on the cane chairs and Professor lighted his cigar. 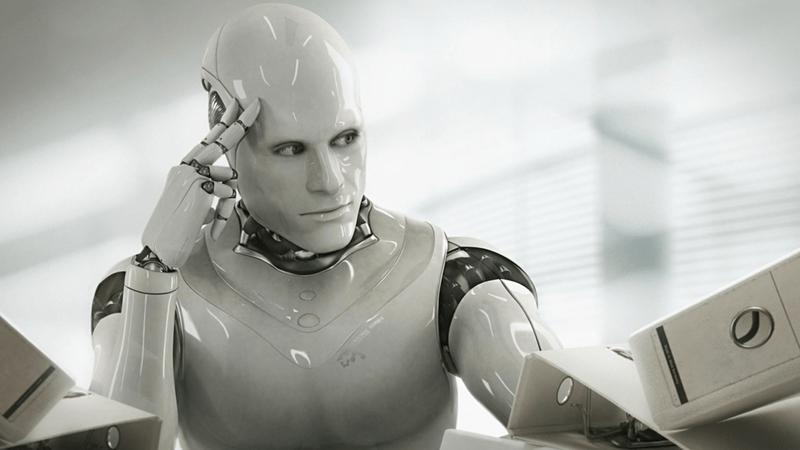 In the next half hour of his discourse, I learnt that the Professor had developed, and installed AI based Robots in all situations wherever “committees” were used to come up with so called “collective decisions” on the subject of environmental management and sustainability. “Today, the way we constitute and operate our environmental committees is no good. Abolishing them and replacing with robots with “green intelligence” will address the issues we face.” Professor said this summarily. “Why dont we train the members of the existing committees?” I made a suggestion. I thought Professor was absolutely right. But I also realized that abolishing these (useless and ineffective) committees would certainly need a political support. “This is very nice Professor – but what about the Investment Committees (IC) at the Bankers?” I asked. “Of course, we are addressing this need as we want ICs to be sensitive to the sustainability perspectives of the proposed investments. I am working on AI algorithms that will look at environmental and social dimensions and monetize both risks and opportunities during credit appraisals. Bankers in India are most insensitive, blind folded and do not have trained staff in this arena. So, the robots will help. The foreign direct investments will increase”. “But Professor, this SMC needs to be piloted and tested carefully” I couldn’t resist asking. I then become confident that the PM will certainly win the next election! Cognitive technology, enabled by artificial intelligence is uniquely adapted to helping with sustainability challenges. See https://www.greenbiz.com/article/4-ways-ai-helps-business-protect-environment where you would see examples on Better conservation of natural resources, Earlier pollution detection, Accelerating sustainable options, Proactive environmental regulation compliance and Learning from nature’s ecosystems. I would like that students from computer science and environmental management work together to explore these areas. Years ago, I was in Prague to attend a UN conference. As I arrived, I fell in love with the city. I chose to stay at hotel Black Elephant that was a few minutes’ walk from the Old Town Quarter. Old Town Square is a historic place. 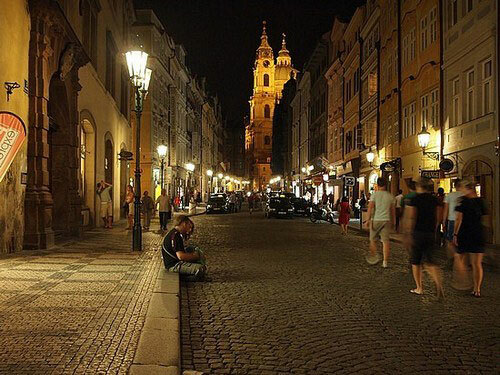 It is located between Wenceslas Square and the Charles Bridge where people take romantic walks at night. A friend had recommended me hotel Black Elephant. Black Elephant, also known as Hotel Cerny slon, is located in the narrow street Tynska. It was built in accordance with historical archives of Prague in the years 1330 – 1340 in a gothic style. A unique roof truss of the building was preserved in an original form. 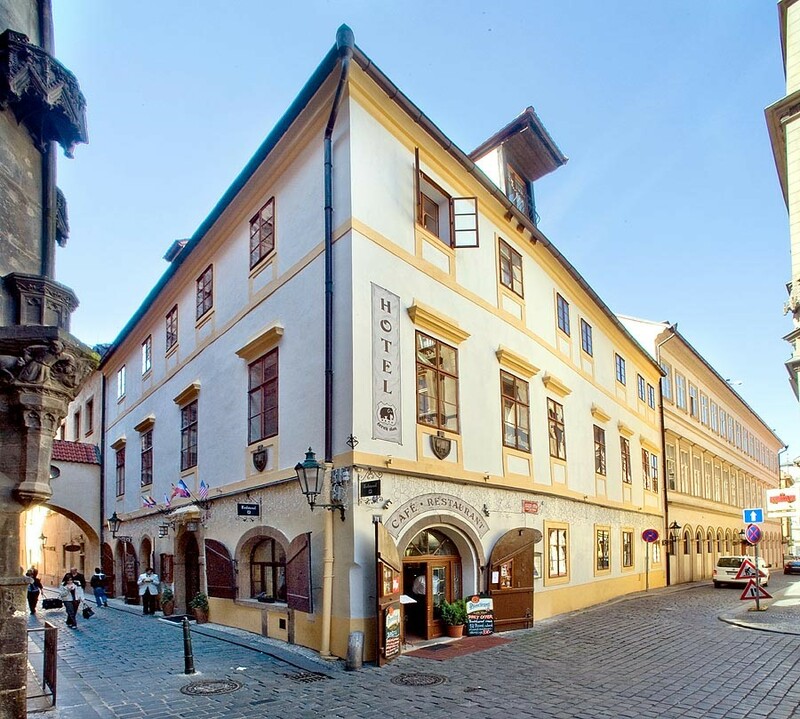 It is one of the oldest hotel in Prague and perhaps in the whole Czech Republic. The building is listed on the UNESCO heritage list. 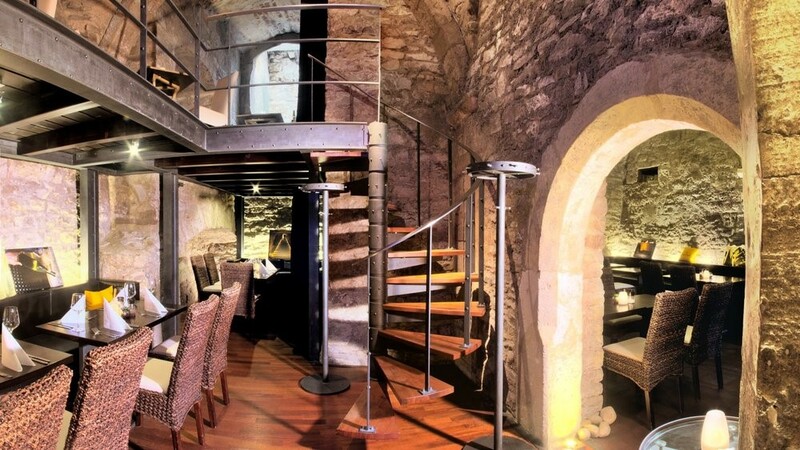 The hotel boasts of Bar Bandol that was set up in the cellar with pebbled walls around. In this hotel the history literally “talks to you”. Some of the UN delegates had also booked the Black Elephant. One of them was my good friend Anna. Anna was a Slovakian and worked as a consultant on a project sponsored by UNIDO. I was pleased to see her at the reception as I was checking in. Anna was dressed in a smart lamb wool sweater with her Slovakian ID hanging out in a brass chain. 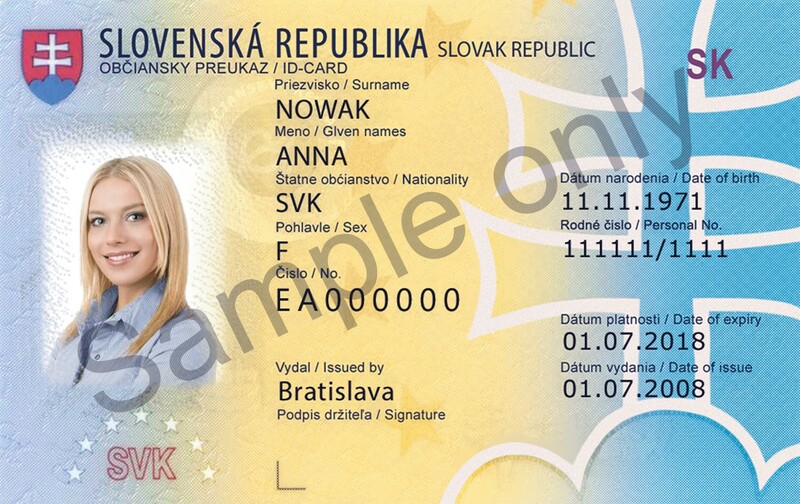 The Slovak identity card is issued to citizens of the Slovak Republic aged 15 and older. A Slovak ID card can be used for travel in all member states of the European Union and the Schengen Area as well as several other European countries. Most Slovakian’s those days used to sport the ID in a chain put around the neck, especially while in the Czech Republic. “Hi Prasad, great to see you again” Anna said. “Hey, we are having a reception at the Municipal House followed by a concert at the Smetana Hall”. Smetana hall is a celebrated concert venue in Prague. Oh, sounds good” said Anna. She suggested White Horse restaurant that was close the Old Town Square. “That’s the best place in Prague to be”. I had been to White Horse before and endorsed Anna’s suggestion. White Horse restaurant is a hidden gem. Tucked away in a cellar downstairs, it is a cozy, beautifully decorated restaurant. From the street you could think you would be sitting in a rather uninviting seating area at front. 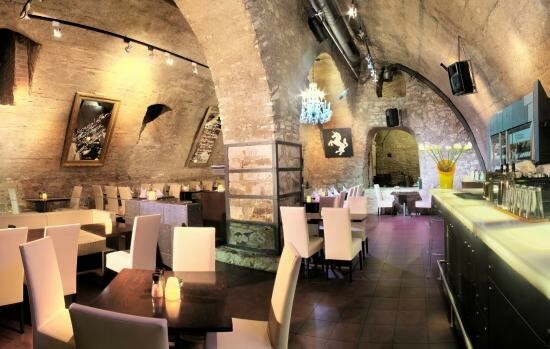 But we you go downstairs to the cellar restaurant, you realize that it is beautiful and romantic place to eat. The cellar has live jazz or blues bands entertaining the diners. I remembered that it has a good selection of vegetarian foods was available as well. The meeting over the day was good. We met lots of old friends, one of them was Brian from the United States. Brian was a Professor at North Dakota University. A very jovial person that he was, Brian captured everybody’s attention and charmed Anna with his stories. “Keep a few stories in reserve when we will walk at night” Anna chided him. The concert ended by 9 pm. We started walking from the Municipal Hall on the pebbled streets of Prague. The streets had aroma of perfumes, the youth around was full of love and passion, the breeze was chilly, but the hearts were warm. We walked through the crowds, pushing people sometimes and making our way. Anna was leading us in the beginning giving us the “street sense”. Brian was in the mood of humor – making interesting remarks on each one of us and cracking jokes. I could see that Anna was simply adoring his pranks. We used to see both sometimes trailing behind and getting into conversations that we all wanted to hear! I don’t think Anna had met Brian before. We must have walked just about 2 km and cleared much of the crowed portion of the streets. Suddenly, Anna stopped. I saw her face panicked. She looked extremely worried and concerned. “I think I lost by Slovak ID, either it got slipped or someone wacked it in the crowd”. I saw the brass chain in her neck was empty. We knew that losing the ID card in Czech Republic could be a nightmare for a Slovakian. The immediate thing to be done was reporting to the City Police Station 1 at the Old Town. We got into a discussion – some said that we should walk back and check if the ID had slipped on the streets. This idea was dismissed. Few said that it was most likely that the ID was stolen. Many from Slovakia who stayed in the Czech Republic always looked for IDs that could be forged to enter Slovakia. “Well friends, I must go and report to the Police for the lost ID card. The Police Station is not far away from the hotel” Anna had decided. “Prasad, you know White Horse restaurant so lead everyone there. I have done a booking already. There is a piano jazz tonight. I will join there as I finish the formalities at the Police Station. It may take some time” Anna sounded practical. Brian volunteered to accompany Anna. I really liked his friendly gesture. I was relieved that there was someone to accompany Anna. We were at restaurant White Horse in the next 10 minutes. Our tables in the cellar were pre-booked. The piano-man was in action and was rolling out great jazz. We kept seats for Anna and Brian. We hoped that they will sort out the complain part soon and join us. We ended the dinner by 11 30 pm but none of them showed up. We were worried. Some said that they must have got real fatigued and hence retired to their respective rooms. Like Anna, Brian also stayed at the Black Elephant. I had an early morning flight from Prague to Zurich for way home. I checked out at the reception and went to the breakfast area for a hot black coffee to fight the chill outside. Airport taxi was about to come. On the table, I saw Anna sitting. Hi Prasad, let me get some breakfast she said. As she walked towards the buffet table, I saw lying on the top of the table her brass chain with her Slovakian ID. “Madam, your room number please?” The girl serving the coffee asked Anna. Anna showed her the metal key that was on the table that had the room number engraved in the old style. The girl noted the room no. But she returned to our table once again. “Madam, I think you showed me the wrong key. This key belongs to the room of Mr. Brian Crawford”. The girl said in an apologetic tone. The situation was then clear to me. Did Anna really lose her Slovak ID? And was something planned during the nightly walk on the streets of Prague? Dear readers – I leave to you to decide. I gave my initial reaction to my Professor friend. We were sitting in his study having a masala chai and samosas for a change. Professor heard me but didn’t react immediately as he was on the phone – (perhaps with the FM?). I knew that Professor was close to the FM and he must have had a hand in shaping the 2018 budget. I was therefore surprised that despite his proximity and influence on the FM, there was not much green in the budget that we all wanted to see. 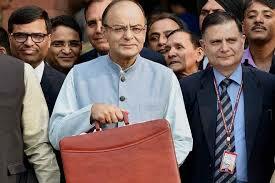 I had a reason to expect this time a Green Union Budget. We know that economic indicators alone are no longer representative of the growth. How long can we continue to cheat? While India may claim a growth rate of 7 to 8%, its true GDP growth could be just about 5% due to poor management of our natural assets and payment to be made for the liabilities (e.g. contaminated lands) we have created. India is ranked today third from the bottom on the Environmental Performance Index, lower than nations such as Libya, Iraq, and Afghanistan. The Economic Survey has projected loss of up to 25% in farm income highlighting the risks posed to due to climate change. Unfortunately, there has been no change in the allocations under the Climate Change Action Plan or the National CC Adaptation Fund. Its strange that at the same time, the government is expecting to double farmers’ income by 2022. And there is no place in the budget on the Intended Nationally Determined Contribution (INDC) as communicated in COP 21 in Paris. Poor air quality in New Delhi has drawn international attention. The situation is however no different across most Indian cities. The Government has been steadily “diluting” the environmental governance. For instance, the old emission norms for thermal plants are allowed to continue for the next five years. Provisions like Environmental Supplement Plan (ESP) have legitimized non-compliance. Several conditions have been relaxed while obtaining Environmental Clearance (EC). Two crucial economic instruments – the National Clean Energy and Environment Fund (reportedly over Rs 56,700 crore) and the Water Cess — have already been dissolved for the sake of accommodating the concerns of the States on GST. Professor had put the phone down. He looked at my agitated face and smiled. He said “You haven’t really understood the budget Dr Modak. There is a lot of green there – but you need a lens if you want to see. Let me explain”. He lit his cigar. “The Centre has announced a ₹1.4 lakh-crore scheme for promoting decentralized solar power production of up to 28,250 MW to help farmers. We will spend ₹48,000 crore on the ten-year scheme called Kisan Urja Suraksha evam Utthaan Mahaabhiyan or KUSUM. KUSUM would provide extra income to farmers, by giving them an option to sell additional power to the grid through solar power projects set up on their barren lands. Farmers will thus be empowered and become entrepreneurs. I thought the Professor was right. You need to think more to understand the green perspective and massive implication of KUSUM to the environment, empowerment and social development. “What about the Operation Greens?” I asked Professor. “I told FM to build Operations Greens in line with the Operation Flood and allocate 500 crores. But to me Operations Green is a climate adaptation strategy” Professor said. “Operation Greens aims to promote farmer producers’ organisations, agri-logistics, processing facilities and professional management. Operation Greens will work to increase demand in the economy. As many as 470 Agriculture Promotion Market Committee promoted markets will now be connected to the e-nam platform while the government will help in development of 22,000 agricultural markets. “Oh, how clever of the FM” I thought. I was sure that our MoEFCC must have crafted this strategy in partnership with the Niti Ayog. No wonder the Ministry was christened as MoEF and Climate Change. Professor continued. “Yes, we sacrificed the National Clean Energy and Environment Fund to accommodate disadvantage to the State on account of GST, but we have now set up a special scheme to address air pollution in Delhi- NCR region. You are aware, due to burning of paddy fields after harvesting by farmers mainly from north India, the resultant smoke gets carried by winds to Delhi and beyond, adding to the existing Suspended Particulate Matter (SPM) and other noxious substances that affect the lungs. To combat this problem, a special scheme will be executed with Delhi government and adjoining states where steps will be taken to subsidize the machinery required for management of crop residue. Instead of heavy penalties for burning agricultural waste, we are providing incentives to the farmers to make them more productive, albeit limited to the NCR. And remember Dr Modak, I don’t need to explain that stopping burning of crop residues in this innovative manner will greatly reduce emissions of GHG. “In an effort to make the villages open defecation free and improving the lives of villagers, the FM has announced the launch of the Gobar Dhan scheme. The Gobar Dhan scheme will manage and convert cattle dung and solid waste in farms to compost, biogas and bio-CNG. Understand the massive reduction in GHG emissions expected due to this project through waste utilization, fossil fuel substitution while promoting clean energy. We are confident that we will be able to achieve targets set in the INDC just by implementing the Gobar Dhan scheme. I was now impressed. I wished that FM had spoken about these environmental benefits explicitly and silenced the environmental NGOs and critiques. But I still had questions to ask. I liked this pilot approach of working with 115 districts out of the 600+ that we have and test progress towards the SDGs. Now I understood why the FM quoted Swami Vivekananda in his budget speech and had said, “You merge yourself in the void and disappear and let a new India arise.” What a deep and loaded quote! On my way home however, I realized that I wasn’t fully convinced. I wasn’t very comfortable about Professors impressive green interpretation of the budget. Was the green interpreted budget going to be a usual marketing green-wash, full of voids, less of substance and not a true commitment. Well, I leave to you to decide. Professor could well be right! And a new India may arise!! You may like to create an assignment for graduate students to study India’s Union Budget and rewrite its “green version” with application of some metrics. Students may examine to what extent the budget reflects (of course “untentionaly”) the INDC and the SDGs and do a discussion.